For all of its questions and issues, baseball remains a great show because it breaks down into so many tantalizing, easily understood confrontations. You have pitcher vs. batter, fielder vs. ball, slugger vs. slump, teams vs. expectations or even curses. The playoffs always magnify these duels. Baseball – America’s pastime, is played in many countries around the world. In fact, 28% of players on major league team starting rosters at the beginning of 2014 were born outside the United States. It is an international sport. Why do so many people love baseball? Perhaps they connect with the rich history, the traditions, “their” player, or the “home team.” Or perhaps it’s the simplicity of the concepts of pitching, hitting, and fielding combined with the complexity of multiple confrontations as written about by Tim Wendel. In America, we have traditions with baseball. We sing our national anthem before the start of each game and we almost always sing Take Me Out to the Ballgame, a song written in 1908 by Jack Norworth and Albert Von Tilzer, in the middle of the seventh inning. Poetry and movies help immortalize the game. Almost everyone has heard the story of Casey at the Bat, written by Ernest Thayer back in 1888. And most of us have seen at least one movie among the many filmed over time, movies such as The Natural (1984), Field of Dreams (1989), A League of their Own (1992), Angels in the Outfield (1994), For Love of the Game (1999), The Rookie (2002), or Moneyball (2011). In other words, if an item has an authentic signature and it has been verified to be the real thing, the item should be termed as memorabilia. Without such a verified signature, an item is a collectible. Check out the latest information by selecting from the list of Recent Posts on the right side of the page. The following topics are introduced on pages accessible through the links on the top menu. Related information and product reviews are available through the drop-down categories under the main menu or the categories menu on the left. Awesome Games – Ok, so games aren’t really a collectible, or are they? Some board games use statistics of past players and even images of past heroes. This area is included because games are a way of pretending to be the hitter, the pitcher, or the manager – and they are fun! Cool Collectibles – There are different types of collectibles, many of which are well within a normal household budget. While this site will focus primarily on only a few types, it may deviate to others once in a while. Historical Memorabilia – This is where baseball history touches our personal lives. Recent and past come to life through items that have been signed by our favorite players. It’s like our own field of dreams! Unique Gifts – Almost any collectible item or piece of memorabilia (or a game) can be given as a gift. This topic area will highlight items that might be something special, either for kids or for another adult. I would love to hear from you. 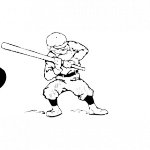 If you love baseball or have a thought related to the content of this site, please submit a comment. Most of all, enjoy! Allyn, since , as you say here, baseball is ingrained in the american culture, you are greatly helping many people with this post. I know there are thousands of fans who would like to improve their memorabilia collection. The information you give them here can make it easier to achieve that goal. Great job! Thanks Hilda, I really appreciate that input. Most fans probably have just a few items that they have kept as part of their memorabilia collection. This site is intended to help them find other things, at a reasonable cost, that will be meaningful to them. Hi Randy. Who knows? You could have some valuable ones in there. I’ll be writing about cards sometime soon. Also, how to find out what they are worth. Hi Allyn – Beautiful site! Very knowledgeable and well put together. Although I’m not a huge sports fan, I do adore collectibles and recognize a great site when I see one. Nice job! Thanks Laurie. Baseball collectibles are fun and so varied. I appreciate your comments. Hi Allyn, Even though I am not a baseball fan I recognize the great art put together in building this terrific site. Well organize, with relevant images and contents, easy navigation. I wish you all the success. Thank you, Noelgui. I appreciate your compliments on the site. This is a great site. I actually want to learn more about baseball and it’s history because of how well presented it is here. My son is just starting to get into baseball so this is interesting. Baseball is so rich in history and tradition. 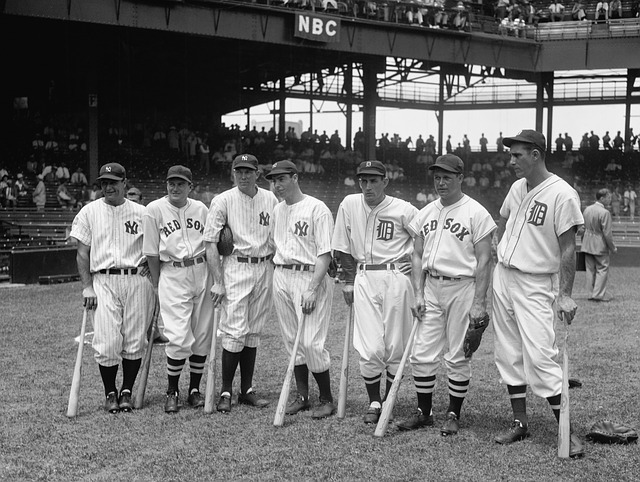 Even though football may be the more popular sport today, baseball is much deeper. I hope your son enjoys baseball and I hope I can provide you with some more interesting content to build your knowledge of the game. I really enjoy your website, and I WILL be back. Thank you for all your informative posts. It helps people like me who don’t know much about baseball collectibles! Thanks much, Sean. The collectibles world is huge. So many different things, especially baseball cards. In today’s world, bobbleheads are a big collectible. Come back any time! Hi Allyn, great read, I found it very informative and like the way you’ve added in the pictures! Great work! Baseball memorabilia grows every year – new pictures, new equipment. When Derek Jeter retired this year, for example, a large amount of equipment, pictures, and signatures suddenly became more valuable. It gives me more to use in future posts. Thanks for keeping the Great American Pastime alive and well. One of my dearest memories of childhood is going to Yankee Stadium with my dad to watch the Yankees play. Don’t remember who they played but they did win, and somehow my Dad got hold of a baseball and got Mickey Mantle’s autograph for me. Don’t know how so don’t ask? But man that was cool. That is really cool, Marty. The only autographs I ever got were in the scorebook that I used to take whenever I went to a game. We had to drive about 3 hours to get to the closest game, which was in Detroit. 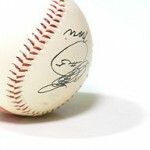 It’s interesting to see what autographed baseballs are worth now! Allyn, what a wonderful site you have! Very informative, visually appealing and FUN! Thanks for sharing your well written content! Keep it up! Thanks a lot, Harry. It’s fun to write about baseball. It was the first sport I came to know as a little kid. I appreciate the fact that you came to look in on my site. Allyn, I’m always impressed by how much work you’ve put into your website. It’s clear it’s a subject near and dear to your heart. It makes me a little sad that when I was a kid I didn’t treat my baseball cards better. We used to use our cards to flip and gamble and attach them with clothespins to our bikes to make noise in the spokes of the wheels. Leaving our cards in less than pristine condition… oh well. I can still come back to your website and see stuff that is collectable and valuable. Thanks so much, Phil. Like you, I used the clothespins on the bike spokes. I even had a few players from my “hated” team that would be put up on my dart board as targets. I remember two of them that would be worth some decent money now. Baseball cards were also great for games like flipping into a hat or snapping with the finger to see how far they would go. Funny how time changes some things, isn’t it?